an egg souffle is the perfect thing to bake on the weekend before a busy week – every morning, i can just stick a serving in the microwave and have a nice hot breakfast! 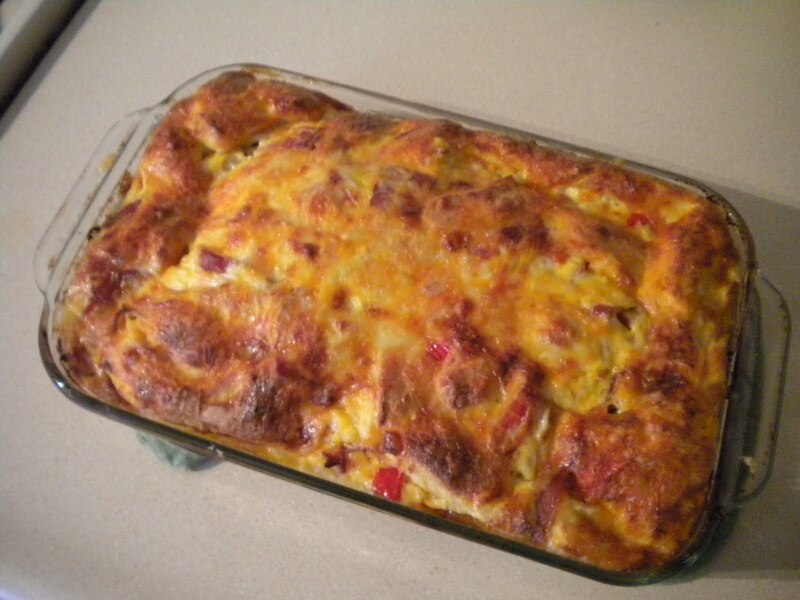 this is a bacon, red pepper and cheese egg souffle. delicious! This entry was posted in Cooking and tagged bell pepper, breakfast, brunch, cooking, egg, egg souffle, make ahead. Bookmark the permalink.